Want to do what you love as a career ? Abyss Plongée, a PADI five-star IDC dive training centre provides you with the training you need to become a dive professional close to home or abroad. This course teaches you to be a leader and take charge of dive activities. The first part of training for divers wishing to complete the Open Water Scuba Instructor (OWSI) course but not having the required time. Trainees can attend this 4-day course that results in a PADI Assistant Instructor qualification. As an Emergency First Response Instructor, you teach first aid techniques based on internationally recognized guidelines, and you can offer these courses to everyone. EFR courses make learning easy by providing a comfortable environment for practicing. Your students finish the training, confident in their new techniques. Have a first aid diploma (primary care and secondary care) dating from 24 months at the most. The MF1 or BEES1 do not have the obligation to do the Instructor Assistant module but they are recommended to participate. 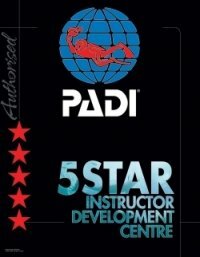 The examination is under the responsibility of a professional examiner from PADI Europe, who comes for the two-day evaluation following the IDC. The examination is broken down into different elements. The director of training course (race director) for the center Abyss Diving is Patrick Tassin, instructor trainer for more than 10 years. A kit with pen, pencil, on-liner, computer. A brochure describing the course is available upon request.